Also, Lyadov: The Enchanted Lake. Antonio Pappano, Orchestra dell'Accademia Nazionale di Santa Cecilia, Roma. EMI 50999 9 49462 2 2. 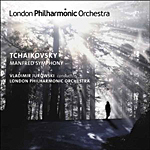 The disc begins with The Enchanted Lake by Russian composer Anatoly Lyadov (1855-1914), a friend of Rimsky-Korsakov. The Enchanted Lake is a magical work, quite brief but, as the title suggests, quietly enchanting, like a sort of shimmering mist. It provides an appropriately Debussy-like prelude to the big symphony by Rachmaninov (here spelled as the Americanized "Rachmaninoff"). Sergei Rachmaninov (1873-1943) premiered his Symphony No. 2 in E minor, Op. 27, in 1908. For many years thereafter conductors would play edited versions of the score, with cuts that Rachmaninov believed marred the music. Andre Previn and the LSO championed the complete account in their 1973 EMI recording, and it is still his performance one must look to for comparison. 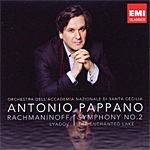 In the present recording, Maestro Antonio Pappano follows the longer edition as well, and he infuses it with a felicitous romanticism. The Symphony begins with a long, slow introduction that, taking its own good time, eventually leads to the release of some pent-up tensions. At this point the main themes kick in, and Pappano makes the most of them, yet without too much sound and fury. He seems to restrain the music's passion throughout most of the work in favor of more subtle nuances. Rachmaninov fills the Scherzo with contrasts, and he provides it with one of the piece's most-familiar themes. Pappano handles it relatively gently, never overemphasizing the obvious jumps in mood that occur throughout the movement. As a result, I didn't feel the warmth or abandon with this conductor as I have with conductors like Previn, Pletnev, or Ormandy. Pappano's style seems best suited to the Adagio, the symphony's second-longest section and the one often trimmed, which comes off quite sympathetically. Although this is the most lushly sentimental of the work's music, the conductor never makes it appear too mushy. It's quite lovely and should delight anyone who hears it. Whatever reservations Pappano may have had earlier, he loosens up in the Finale. Nevertheless, I still found a small degree of electricity missing that might have otherwise made my hair stand on end. In its place is a heightened sense of melody and tunefulness that goes a long way toward making one forget the movement's more-boisterous nature. This is, in short, a fluid, refined, cultured interpretation, somewhat genteel and over polished, perhaps, but always charming. EMI recorded the performances live in Rome in 2009. You can tell the sound is in concert from the opening moments of The Enchanted Lake, with an airier acoustic than usual and faint audience noises audible. This is despite the fairly close miking. Once we get used to the "live" feeling, the sound is fine. It's rather short on depth, though, and even though it is mainly a bit soft, the strings can occasionally be a tad aggressive. Mostly, the sound just seems too polite; there is not enough dynamic thrust, not enough impact to make it come completely to life (except for a few bass whacks) and not enough transparency to impress the ear. It is, however, smooth and comfortable, so no listener is likely to go away entirely disappointed, and, indeed, some parts sound most realistic. Be that as it may, an eruption of applause at the end ensures that our enjoyment is short-lived. Also, Four Sea Interludes. Elgar: Enigma Variations. Paavo Jarvi, Cincinnati Symphony Orchestra. Telarc CD-80660. Call this one the return of the big bass drum. Telarc engineers made quite a name for themselves in the early days of digital recording with the sound of their bass, but for whatever reason the famous Telarc low end seemed to have diminished somewhat in the past decade. Not here. The bass came back with a vengeance. First, a word about the performances. 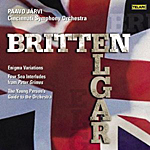 Maestro Paavo Jarvi and the Cincinnati Symphony Orchestra offer up acceptable if slightly unresponsive renditions of these well-worn British warhorses. Of the three sets of music presented--Britten's Young Person's Guide (Variations and Fugue on a Theme of Purcell), with its emphasis on highlighting different instruments of the orchestra; his impressionistic Four Sea Interludes from the opera Peter Grimes; and Elgar's Variations on an Original Theme, Enigma--I enjoyed the Elgar most of all. Perhaps hearing Britten conducting his own Young Person's Guide (Decca/JVC) and Andre Previn and the London Symphony (EMI) and Michael Stern and Kansas City Symphony (Reference Recordings) doing the Sea Interludes (EMI) have spoiled me for anything else, I don't know. Certainly, Jarvi does a more-than-competent job with them. Not that the Enigma music is all that much more characterized, though; compared to the likes of Boult and Barbirolli (EMI), Jarvi is still a little undernourished. But as the Variations build up, one senses Jarvi's enthusiasm increasing for the subject matter, and he melds the various individual components into a pleasing whole. The Telarc sound begs the listener to play it at volume. Otherwise, it's a little vague and soft. However, if you turn it up a notch or two, it comes to life. The outlines of the sonics are firm, solid, the stereo spread is wide, and the bass can be thunderous. There is perhaps too little information presented in the center of the sound stage for absolute realism, but it is a minor concern. Also, Karelia Suite. Pietari Inkinen, New Zealand Symphony Orchestra. Naxos 8.572704. Among the seven symphonies of Finnish composer Jean Sibelius (1865-1957), his First and Second are probably the most popular, with my own slight preference going to the Second. The trouble is, as with most popular classical music, there are already any number of great recordings available, giving any newcomer tough competition. So Maestro Pietari Inkinen and his New Zealand Symphony Orchestra must go head-to-head with both of the stereo recordings of Sir John Barbirolli (Chesky and EMI), both recordings from Sir Colin Davis (Philips and RCA), plus recordings from Herbert von Karajan (EMI), George Szell (Philips), Osmo Vanska (BIS), and others. I wouldn't abandon these older recordings for Inkinen's newer one, but Inkinen at least makes a decent case for the work. Sibelius wrote his Symphony No. 2 in D major, Op. 43, in 1902, conducting the première the same year and revising it a year later. Although the public quickly dubbed it his "Symphony of Independence," there is some debate as to whether the composer actually intended any symbolic significance in the piece. Be that as it may, it ends in a gloriously heroic finale that surely evokes a feeling of freedom and self-reliance, moderately well realized by the young Finnish conductor. But let's start at the beginning, where Inkinen takes the opening Allegretto at a rather more light, bouncy gait than I've heard. Usually, this section moves from music calling to mind the misty northern regions of winter to sunnier climes as it progresses. Here, however, it appears to begin in the southern region. Fortunately, you can't say the conductor doesn't bring out the more lyrical, pastoral elements of the score, though. The next, slow movement, an andante, is far more serious in tone, with at its core suggestions of Don Juan's encounter with Death. With this segment, I found Inkinen slightly more lugubrious than necessary, never slow, just a bit swollen or turgid, especially at the start. Then it builds some appropriate tension and release. The scherzo, marked Vivacissimo, moves along at a healthy clip and conveys most of the busy introduction well enough before maneuvering into the lovely oboe passage. After that, it returns briefly to the pastoral mood of the opening movement before going back to its more-tumultuous origins. This back-and-forth continues until we reach the famous Finale, with all its splendor. When the grand, heroic theme of the closing moments bursts forth, I was a little disappointed that Inkinen didn't make a bigger splash with it. The passage can be quite exhilarating, yet here it's hardly a ripple. I would guess Inkinen favors making it a natural extension of the preceding music rather than a separate, perhaps highly nationalistic, statement. Nevertheless, I prefer splashes to ripples. 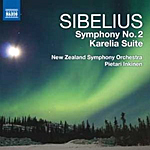 Inkinen's coupling is the Karelia Suite, some of the music Sibelius wrote in 1893 to accompany a series of historical tableaux of Finland's past. The Suite gives us three of them: the Intermezzo, Ballade, and Alla marcia, celebrating the Karelia region. This music is also among the composer's most-popular output, second maybe only to Finlandia. 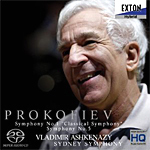 Even though Inkinen still doesn't set the blood to racing as much as some other conductors have, notably Vladimir Ashkenazy (Decca) and the aforementioned Barbirolli (EMI), at least he imbues it with a glowing nobility of spirit. I enjoyed his handling of the Ballade in particular but thought the rhythms of the march could have used more zip and sparkle. Not that I prefer heavy-handed bombast; it's just that Inkinen's brand of subtlety goes too far in the opposite direction. I would have liked a more-moderate compromise. Naxos recorded the performances at the Michael Fowler Center, Wellington, New Zealand, in 2008 (Symphony No. 2) and 2010 (Karelia Suite). It's a very warm, somewhat soft sound, with a big, spacious acoustic, yet little orchestral depth. There is a modest frequency range involved and at least reasonable dynamics. While the sound is perfectly adequate, it is by no means better than any of the older recordings I mentioned at the head of the review. Indeed, the sonics could have benefitted from greater range and impact to make their case. Excerpts from Swan Lake, Sleeping Beauty, and The Nutcracker. Andre Previn, London Symphony Orchestra. EMI 50999 18753 2 7. EMI Records Ltd. could probably continue as a record company indefinitely just by re-releasing Andre Previn's 1970's recordings with the London Symphony. It seems as though they've already reissued highlights from his complete sets of Tchaikovsky ballets about 800 times. Fortunately, 800 re-releases still aren't enough to do justice to this great music or these great performances, so it's good to have them back again at so reasonable a price on this 2011 EMI Masters "Great Classical Recordings" disc. The disc includes excerpts from all three of Tchaikovsky's big-three ballets: Swan Lake, Sleeping Beauty, and The Nutcracker. Each of the suites includes about twenty-five minutes of highlights and six to eight selections from each respective ballets. Most important, because Tchaikovsky's music is always a nonstop flow of inspired melodies, both graceful and dramatic, we get performances to match. Previn's interpretations are at once exciting, subtle, enchanting, and lovely. Unlike many other, higher powered productions, Previn's readings bring a true fairy-tale richness and delicacy to the scores. And the sound, like almost all of producer Christopher Bishop and engineer Christopher Parker's collaborations, is first-rate. First up is the music from Swan Lake, which the composer premiered in 1877. It's the earliest and the most symphonic-sounding of Tchaikovsky's big-three ballets, which is perhaps why it did not do as well initially as his later works did. 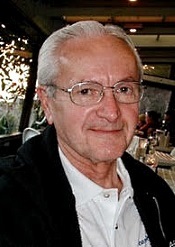 Previn recorded the ballet in 1976, the last of his recordings of the trio. Maybe it was because people expected so much of it by that time that it tended to disappoint a few listeners. The fact is, while it's maybe not quite as vital or energetic as his earlier performances, perhaps a tad more casual, I've always found it one of the best complete recordings available. Among the selection of excerpts here, we get the big "Waltz," the "Dance of the Little Swans," the "Hungarian Dance," the "Spanish Dance," and others. OK, I admit I missed hearing the closing scene, the big finale, but what we do get is fine. Even more to the point is Previn's complete Sleeping Beauty (1890), a recording first released in 1974. I fell in love with its glitter and charm at first listen and immediately placed it at the top of my recommendations for the work. 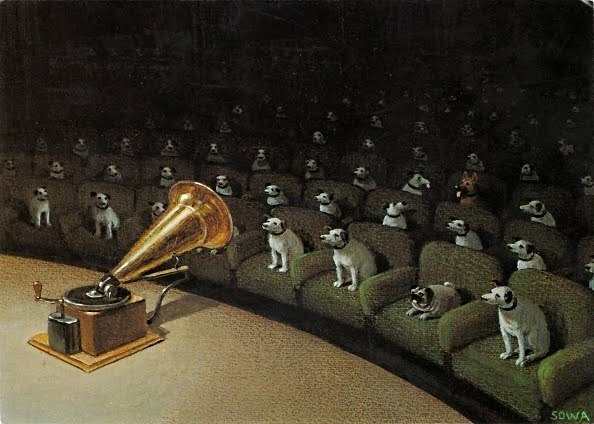 Sometime afterwards it appeared on other rosters of top contenders as well, including High Fidelity magazine's "Record Riches of a Quarter-Century," Gramophone magazine's "Recommended Recordings," the Penguin Stereo Record Guide's listing, etc. I couldn't have been happier to see that others agreed with me and shared my delight in this wonderful music. Among the selections, we get the "Waltz," the "Rose" adagio, "The Panorama," the "Pas de caractere," the "Pas de deux," and the Adagio, Coda, and Finale. If we find more music from Sleeping Beauty than from its companions, it's only fitting; this suite is the highlight of the highlights. The final suite is from Previn's 1972 recording of The Nutcracker (1892), and here the conductor has more competition. My own personal favorite is from Antal Dorati on Philips, but certainly Previn is in contention. His is a more warmly affectionate reading than most others, softer in approach, richer and more comfortable. The items on the disc include the "Miniature Overture," the "March," the various dances ("Arabian," "Chinese," "Russian," "Reeds"), the "Dance of the Sugar Plum Fairy," and the "Waltz of the Flowers." In other words, all the big numbers. As for the sound, EMI recorded the first item on the disc, Swan Lake, last in the sequence, in Kingsway Hall in 1976. For me, it sounds the cleanest, clearest, most transparent of the lot, with the best sense of orchestral depth. It's a trifle more aggressive than the other recordings but more dynamic, with extended highs and gorgeous string tone. EMI did Sleeping Beauty two years earlier, in 1974, in Studio No. 1 Abbey Road. Here, the sound is a touch warmer, softer, and more resonant than that in Kingsway Hall. It's OK because it suits the music. Besides, it's very pleasant and listenable, capturing the magic of the music. Dynamics and stage depth are adequate, too, if not so pronounced as in Swan Lake. Finally, The Nutcracker derives from a 1972 recording again made in Kingsway Hall, but this time it hasn't quite the clarity of Swan Lake. The sound quality is midway between the other two recordings, more transparent and dynamic than Sleeping Beauty but not as lucid as that in Swan Lake. In any case, the differences are small, and all three recordings are excellent. 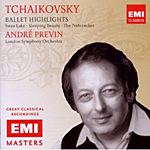 I'm not entirely sure who buys highlights albums, but if you're in the market for about seventy-three minutes of Tchaikovsky ballet snippets, you can't beat Previn's accounts. They might even encourage a person who doesn't already own recordings of the complete scores to explore them further. 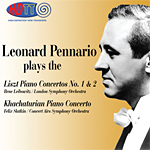 Also, Lutoslawksi: Concerto for Orchestra; Fanfare for Louisville. Paavo Jarvi, Cincinnati Symphony Orchestra. Telarc CD-80618. In the booklet note, maestro Paavo Jarvi says he is fond of coupling together similar pieces of music by different composers so that listeners can make comparisons and connections between them. In this case it is Bartok's Concerto for Orchestra, written in 1943, and Lutoslawski's Concerto for Orchestra, written a decade later in 1954. Additionally, Telarc have included Lutoslawski's little Fanfare for Louisville for good measure. If the coupling points out anything at all, it's how much better the Bartok work is. There is a reason why people cherish some pieces of music as classics, warhorses of the industry, over others. Nevertheless, that's not to take anything away from Lutoslawski's Concerto. It is a bit shorter than Bartok's work and written in three movements rather than five, but it gains something from its more concise approach. Both pieces of music use variations on folk tunes; it's just that Lutoslawki's Concerto doesn't have the number of memorable tunes in it that Bartok's familiar work does nor the thematic or rhythmic intensity. Of course, both pieces contain the instrumental emphases that their titles suggest. As far as Jarvi's interpretations go, they are among the conductor's best work. 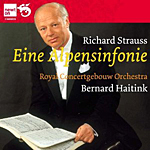 The Bartok hasn't quite the forward thrust or pent-up tensions of my favorite Fritz Reiner recording (RCA and JVC), but it does command one's attention from beginning to end. I especially enjoyed the baleful atmosphere of Bartok's third movement, which the composer called a "lugubrious death song," and the relatively lively and joyful finale. The Telarc sound helps, too, very natural, very realistic, and fairly well staged, if a trifle softer, cloudier, and more rounded than usual from this source. For those folks with SACD players, Telarc also make the performances available on a hybrid CD/SACD disc (Telarc SACD-60618). The SACD version sounds slightly more vibrant to my ear than the regular CD issue, but the difference is subtle. I had no chance to listen in more than two channels. Fabio Biondi, Europa Galante. Virgin Classics 0946 3 44706 2. 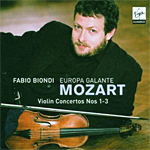 Having apparently exhausted the repertoire of Vivaldi a few years before, Fabio Biondi and his Europa Galante players embarked on Mozart's five violin concertos, the first three of which appear on this disc. The results are mixed. Listeners know Biondi well for his hearty, zestful approach to music making, and while this might work fine in baroque pieces, he could have better moderated his performances in these later, classical pieces. Maybe I'm just old-fashioned (yes, probably), but I found most of Biondi's readings here lacking in grace, elegance, or refinement. It's true that the slow, middle movements come off well when Biondi holds up long enough to let the music breathe, especially in the Andante of Concerto No. 2, but the outer movements are just too fast and perfunctory for me. A quick comparison to older recordings (there's that old-fashioned guy again) by Grumiaux, Mutter, and Oistrakh reveals a wealth of subtlety and nuance that simply isn't there with Biondi. Nor did I find Biondi's playing of the principal parts particularly striking; indeed, most of the time, he tends to fade into the backdrop. However, there are two compensating factors with Biondi: (1) There is no denying that his interpretations are exciting and provide a kind of exhilarating experience that most of the older recordings do not; and (2) his technique works reasonably well in Concerto No. 3, which is a more fiery and dynamic piece of music than the others to begin with. So, I rather enjoyed hearing No. 3 taken at a brisk pace, as it added to the music's already keen spirit. The Virgin engineers capture a fairly natural sound, not too close up or too distant, with a warm, wide, full orchestral spread (there are about a dozen performers involved). Inner detail is not exactly vivid, but the overall result is natural and easy on the ear. Waltzes and Polkas. Willi Boskovsky, Vienna Johann Strauss Orchestra. EMI Masters 50999 9 18744 2 9. According to everything I've read about Willi Boskovsky, his orchestras didn't particularly like him as a conductor. No matter. From playing violin with the Vienna Philharmonic he went to leading the orchestra in Strauss family waltzes in the 1950's and audiences adored him, which is all that counted. His Decca recordings from those early days are still the yardsticks by which many critics measure all newer Strauss recordings. 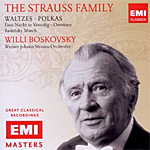 By the early Seventies Boskovsky was recording for EMI with the Vienna Johann Strauss Orchestra, and he re-recorded most of the major Strauss repertoire for them. Then, when digital entered the scene, he re-recorded them yet again, many of them two more times. What we have in this 2011 EMI Masters "Great Classical Records" release is a reissue of twelve famous pieces by Johann Strauss I, Johann Strauss II, and Eduard Strauss that Boskovsky recorded between 1971 and 1973. Boskovsky's later digital Strauss recordings were more sprightly and open than these analogue recordings with the same orchestra, the analogue sound warmer and fuller, true, but softer and less detailed, too. These analogue performances also seem a fraction slower and less spontaneous than either his earlier Decca renditions or his later digital renderings. Not that they aren't still delightful; they just don't quite match Boskovsky's other releases. Included among the waltzes, polkas, and overtures on the disc we get Strauss Jr.'s "Blue Danube" waltz, of course, the "Champagne Polka," the "Tales from the Vienna Woods" waltz, the "On the Hunt" polka, "A Night in Venice" overture, the "Vienna Blood" waltz, the "New Pizzicato Polka," the "Artist's Life" waltz, and the "Kaiser Waltz." Filling out the selections are brother Eduard Strauss's "On Track"; and father Strauss Sr.'s "Sigh" galop and "Radetzky March," the latter a traditional show closer. One minor observation: The first times Boskovsky recorded "Tales from the Vienna Woods" (1963 and here in 1972), he used a real zither in the famous zither part, but in his first digital recording (1982) the conductor chose to bypass the zither and use a violin. EMI must have gotten some flack for that, and a few years later (1985) he relented and re-recorded the piece with a zither. I prefer the zither, as do most folks, I suspect, and it's good to hear it in its rightful place here. Anyway, this latest disc presents a useful collection of Strauss music at a reasonable price. If it weren't for the fact that Boskovsky did better work and EMI and Decca offer about 800 other albums of the conductor's Strauss at a comparable price, I could be more enthusiastic about it. As it is, I'd recommend the disc only as a point of comparison alongside Boskovsky's first-choice material. Niklas Eklund, trumpet; Stephane Rety, transverse flute; Andres Gabetta, director, violin, and violino piccolo; Swiss Baroque Soloists. Naxos 8.557755-56 (2-disc set). The booklet note says that the Swiss Baroque Soloists aim to "rediscover a new angle on baroque and classical repertoire, mingling energy and boldness in the exploration of rare repertoire and performing on original instruments." Well, "energy and boldness" don't always have to mean fast, and I wouldn't say that Bach's six Brandenburg Concertos exactly qualify as "rare," unless the word is being used in the sense of "great" or "unusually excellent." In any case, the Swiss Baroque Soloists do play with enthusiasm, and the two-disc set does come at a bargain Naxos price. Nothing wrong with that. I just wish there was as much subtlety as there is vivaciousness in the playing. The opening to Concerto No. 3, for example, is so speedy one could call it breakneck, and for me, at least, it rather takes the joy out of the music when it moves by so rapidly. Besides, no matter how much the performers insist that their interpretations are authentic, I can't believe that bands in Bach's own day would have played with such haste. In any case, the group does slow down a bit by the time they get to the final pieces, so all is not entirely lost. And there is some fine, relaxed playing along the way in the slow movements, too, coming as blessed relief from their surroundings. Maybe that was the intent. 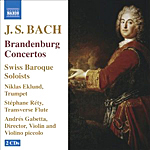 Accompanying the six concertos are the Trio Sonata from Bach's Musical Offering, also somewhat lacking in refinement, and a transcription of the Concerto in G minor, this one for flute and strings. One might accuse the Naxos sound of being more than a tad forward, but it nicely complements the animation of the readings. My primary concern is that it doesn't display much depth or air, concentrating on a bright clarity and a wide dynamic range. The whole makes for an interesting but not an overwhelmingly satisfying listening experience. 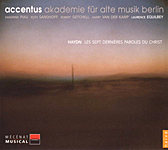 Cantata for voices and orchestra, with Sandrine Piau, soprano; Ruth Sandhoff, mezzo-soprano; Robert Getchell, tenor; Harry van der Kamp, bass; Accentus; Akademie fur Alte Musik Berlin, Laurence Equilbey. Naive V5045. Many classical-music fans know that Haydn composed The Seven Last Words of Christ on the Cross first for orchestra, then for quartet, and later authorized a keyboard transcription. What people may not know is that he also arranged the piece as a cantata for voices and orchestra. But it came about almost by accident. The idea never occurred to him to add voices until he was returning home from his second trip to England in 1795 and stopped off at the Bavarian town of Passau, where he coincidently heard a vocal-orchestral version of his work arranged by the local Kapellmeister, Joseph Friebert. There were no copyright laws back then, so I guess Friebert could do whatever he wanted with Haydn's music. The new arrangement impressed Haydn, although he thought he could do even better himself. And he did, in the version we hear on this disc, a version premiered in 1796. According to the booklet note, Haydn rearranged several of the orchestral parts, added several more introductions, including a fairly lengthy one between the Fourth and Fifth Words, and then used mostly the Kapellmeister's sung text for the vocals. The result is different, to say the least, and if anything sounds more spiritual than ever, especially in this recording with the Accentus Choir and the Akademie fur Alte Musik Berlin. It can also be a little easier to sit through, the vocal parts adding a bit more variety to the movements. Haydn had written about his original composition that "The task of writing seven successive adagios, each of them to last around ten minutes, without wearying the listener, was by no means an easy one." For this vocal-orchestral arrangement, the composer has less chance of "wearying" anybody. Naive's recording of the soloists, the choir Accentus, and the Akademie under the direction of Laurence Equilbey is quite good. Never too forward, never too dull or reserved, the sound is quite natural and transparent, the singers well integrated into the aural setting. It's all rather beautiful, actually, and the disc makes a perfect addition to one's Haydn music library, complementing renditions for orchestra and quartet alone. David Russell, guitar. Telarc TEL-32712-02. 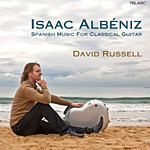 I've listened to several albums of music by Scottish guitarist David Russell, and he has always impressed me. He won a Grammy Award in 2005 for the CD "Aire Latino," and has deservedly become a world-renowned player. It's good to hear him here, playing a selection of fifteen short tunes by Spanish pianist and composer Isaac Albeniz (1860-1909). Albeniz wrote most of the pieces represented on the disc for various piano suites, with Russell choosing, I assume, his favorites among them. The collection includes fifteen tracks as follows: "Torre Bermeja" from Doce Piezas Caracteristicas; "Granada" from Suite Espanola No. 1; "Zambra Granadina"; "Cadiz" from Suite Espanola No. 1; "Preludio" from Espana; "Rumores de la Caleta" from Recuerdos de Viaje; "Cordoba" from Cantos de Espana; "Cataluna" from Suite Espanola No. 1; "Capricho Catalan" from Espana; "Cuba" from Suite Espanola No. 1; "Tango" from Espana; "Pavana" from Doce Piezas Caracteristicas; "Zorzico" from Espana; and "Minueto a Sylvia" and "Zambra-Capricho" from Doce Piezas Caracteristicas. These works are often hauntingly beautiful, and while Albeniz may have written them mainly for piano, they work wonderfully well on guitar. Indeed, they sound as though the composer should have written them for guitar. Russell plays them delicately, unhurriedly, caressing each note with loving care. There is a degree of melancholy in the tunes and in the playing that is hard to resist, yet it never crosses the line into mere sentimentality. Russell's playing displays a fine combination of virtuosity and sensitivity. The highlights of the disc for me were the lovely, graceful "Granada"; the rhythmic "Cadiz"; the ultrasmooth and sophisticated dance number "Cataluna"; the slow Habanera titled "Cuba"; and the stately "Minueto." However, my absolute favorite of the bunch is Albeniz's "Tango." I could put the track in repeat mode and listen to the piece over and over again for hours. Russell's gentle handling of it is enough to bring tears to one's eyes. Recorded at the Peggy and Yale Center for the Performing Arts, Owings Mills, Maryland, in April of 2009, the acoustic is rich and lightly resonant, giving the single instrument a pleasantly spacious sound. It is one of those recordings that makes you suspend your disbelief and imagine, if you shut your eyes, that the performer is there, on stage, a few feet away. Also, Incidental Music to Macbeth; Polly, overture. Kevin Mallon, Toronto Camerata. Naxos 8.557484. No, this is not the music of popular twentieth-century British composer Malcolm Arnold. This is the music of popular eighteenth-century British composer Samuel Arnold (1740-1802). 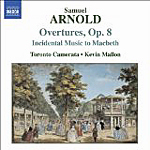 Only Malcolm Arnold is still popular today, and people hardly remember Samuel Arnold anymore. The disc's main contents are the six Overtures, Op. 8, that Arnold wrote in 1771, pleasant, lightweight affairs that begin sounding alike about ten minutes in. However, things perk up with numbers four and five, so if you get hold of this album, you might want to start there. Or listen to one overture per day rather than listening through all six at once as I did. More to the point is the Incidental Music to Macbeth, written in 1778. It contains an assortment of tunes based on actual Scottish folk songs and is quite delightful. There is the odd incongruity of a typical eighteenth-century minuet right in the middle of things, but one can easily overlook that. The album concludes with the overture to Polly, a sequel to John Gay's Beggar's Opera of some years earlier. 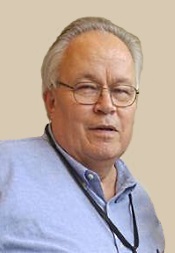 To maintain a continuity, Arnold uses a medley of themes from the earlier work. It's pleasant, though hardly world-beating. The Toronto Camerata is a small group made up of players from the Toronto Symphony, the Canadian Opera and Ballet Orchestras, and Tafelmusik. They play well, in a lively manner conducted by Kevin Mallon. But they might want to tell Naxos to get their name straight: On the outside of the booklet cover, the record company label them as the Toronto Chamber Orchestra. Well, maybe they want folks to call them by both names. What do I know. The sound appears moderately distanced, so we get a good deal of warm, realistic hall ambience at the expense of much inner detail. 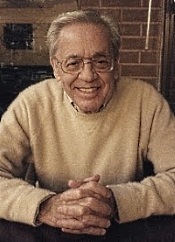 Carlo Maria Giulini, Philharmonia Orchestra. EMI Classics 50999 9 18734 2 2. Maestro Carlo Maria Giulini (1914-2005) was always one of the most-elegant conductors in the business, giving us performances of the utmost style and refinement, although often with a surplus of excitement. Call it cultured emotion or sophisticated thrills. 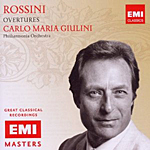 Here, EMI offer examples of his creativity leading the Philharmonia Orchestra in a generous collection of nine overtures by Gioachino Rossini (1792-1868), culled from the company's back catalogue and totaling over seventy-seven minutes. On a mid-price disc, one could hardly ask for more. The program begins with La scala di seta, which Giulini takes at a fairly brisk pace. This is playing of a passionate nature, yet without ever seeming rushed. Under Giulini, the overture is both stimulating and amusing. Next is Il signor Brushino, which the conductor takes at a more moderate tempo, all the better to enjoy the overture's famous tapping of the bows (which here sounds more hushed than we commonly hear it), yet with a pleasant, zippy bounce. Tancredi may be the least well known of the overtures on the disc, but that doesn't stop Giulini from giving it a thorough outing and presenting the music in a grand, sparkling manner. L'italiana in Algeri is one of my favorite Rossini overtures, so it has always pleased me to hear how well Giulini handles it. There is a greater sense of orchestral depth here as well, which goes a long way toward one's enjoyment of the music. The popular Il barbiere de Siviglia also benefits from an increased stage depth, helping with the realism of the performance. Giulini conducts it about as well as I've ever heard it. Then, we get La Cenerentola, Rossini's musical idea of the Cinderella story not exactly in the traditional fairy-tale mode; Giulini makes sure the piece gets the big orchestral treatment it demands. Finally, speaking of things big, the album ends with three of Rossini's late overtures--the biggest, longest, grandest of the lot. La gazza landra (The Thieving Magpie) is as witty and lively in this interpretation as one could want, yet Giulini also conveys a fine sense of mock propriety without too much bluster or fury. In Semiramide, with its excess of haunting melodies, Giulini never overdoes the composer's sometimes bombastic inclinations. 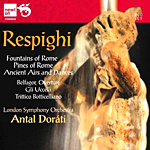 Still, this is the one overture where Giulini might have enlivened things a little more than he does. The concluding number is the really big one: Guillaume Tell. As Rossini developed as a composer, his overtures became more complex, often, as here, arranged as miniature tone poems in separate movements. Giulini offers it up on the most-momentous possible scale in his usual unhurried manner. The final galop is fully engaging, which means exhilarating, not exhausting. EMI recorded these overtures between 1956 and 1964 in Kingsway Hall, London, releasing the current reissue in 2011. The sound tends to be a tad aggressive at several junctures, yet it is never bothersome. Most of the time, the sound is clear and open, with a wide dynamic range, a strong impact, and a wide stage presence. While the bass is somewhat light, the mellowness of the lower strings nicely balances against the more-forward highs, producing a pleasant result. There is also that modest-to-excellent stage depth I mentioned earlier and the merest hint of ambient hall bloom to ensure a lifelike sonic display. One notices a small degree of tape hiss in quieter sections of the music, but that doesn't present a problem, either, since it's so faint. For big orchestral accounts of these Rossini overtures, one can hardly go wrong with Giulini and the Philharmonia, and the price is certainly right. 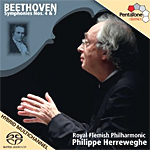 However, for the listener who doesn't already have them, there are other fine full-orchestra alternatives to consider: Reiner and the Chicago Symphony (RCA), Gamba and the LSO (Decca or JVC), and Maag and the Paris Conservatory Orchestra (HDTT); or for a slightly smaller ensemble, the Orpheus Chamber Orchestra (DG) and Marriner and the Academy of St. Martin-in-the-Fields (Philips or PentaTone); or for a period-instruments group, Norrington and the London Classical Players (EMI), among many others. Also, selections from Kinderszenen, Drei Romanzen, Fantasiestucke, and Gesange der Fruhe. Thomas Lorango, piano; Anthony Newman, the New Brandenburg Collegium. Newport Classic NCD 60034. There is certainly no wont of good Schumann Piano Concerto discs on the market from artists like Stephen Kovacevich (Philips or Newton Classics), Van Cliburn (RCA), Radu Lupu (Decca or LIM), Vladimir Ashkenazy (Decca), Martha Argerich (EMI), Murray Perahia (Sony), Leiv Ove Andsnes (EMI), and more. 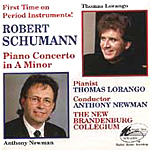 Yet there is always room for one more, and this 1991 recording from pianist Thomas Lorango, conductor Anthony Newman, and the New Brandenburg Collegium, a recording I had never heard before, is certainly another one to consider, especially when it's as well played as here and has the unique advantage of using period instruments in its presentation. Robert Schumann (1810-1856) wrote his Concerto for Piano and Orchestra in A minor, Op. 54, over a period of about five years before premiering it in 1845. He called it something of a concerto, a symphony, and sonata as he was writing it. Whatever, it works, and audiences have loved it for over 160 years. 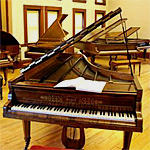 Pianist Thomas Lorango tells us in a booklet note that the piano used in the recording is an original instrument built by the Viennese Johann Baptiste Streicher, its origins going back to c. 1792 (the piano on loan for the recording from the E. Michael Frederick Collection). Lorango further states that "rather than the bright, percussive sound of a modern instrument, the Streicher has a more singing, sustained sound, deep with resonance." It is, indeed, a gorgeous sounding instrument, no doubt helped along by Mr. Lorango's lyrical, "singing" style. The opening Allegro is as liltingly beautiful as I've heard it, eschewing much of the brawny, bombastic tone one sometimes finds in performances of the work. Instead, the first movement flows gently and naturally, as Schumann intended, into the second-movement Intermezzo: Andante grazioso, which, like the preceding section, displays the beauty of the music rather than the showmanship of the performer. In the final movement, an Allegro vivace, Lorango does exhibit his virtuosity, yet he never does so in any frenetic or exhausting way. This is one of the loveliest Schumann Concerto performances I've heard, with or without period instruments. The rest of the disc contains a number of solo Schumann selections from Lorango, starting with five items from the Kinderszenen (Scenes from Childhood), Op. 15, an adult's recollection of youth. The numbers are sweet and direct, with Lorango supplying loving care. Almost every listener will recognize the opening "Of Foreign Lands and People" and, of course, the famous "Traumerei" segments, whether the listener is a Schumann fan or not. Lorango plays these pieces, including the Romance in F-sharp Major No. 2, the Fantasiestucke No. 3, and the Gesange der Fruhe (Song of the Morning) No. 1, in a straightforward manner, with no attempt at overt sentimentality, making them all the more affecting by allowing the music to speak for itself. Recorded digitally and released in 1993, the sound is top drawer in every respect, if not quite in the audiophile or demonstration category. The audio engineers capture the sound of the period instruments nicely at a moderate distance, providing a clear and lifelike presence without any disfiguring harshness or brightness. Like the rest of the orchestra, the piano sounds rich, mellow, and smooth. This is subtle, nuanced sound, perfectly balanced, with a touch of warm acoustic ambience to give it a truthful impression. It is not the kind of sonic spectacular that will knock your house down; it will just knock you out. Very pleasant stuff. Vladimir Jurowski, London Philharmonic Orchestra. LPO-0009. If you are considering this disc, I would advise you not to read the back cover of the jewel box, where it says "Recorded live at Royal Festival Hall, London." If you are like me, you may not care for live recordings, and that would be a shame because this one is not like most other live recordings. There is virtually no audience noise to deal with until the very end, when the audience unfortunately erupt into applause, and there is no vague, distant miking involved. In fact, the sound is most realistic, and the performance is quite emotional. Maestro Jurowski, now the Principal Conductor of the London Philharmonic, emphasizes the pathos in the work, sometimes lingering to the point of being a tad lax or languid but not too often, yet manages to wring a good deal of excitement from the piece as well. Just listen to the climaxes of the first and fourth movements for proof of his patience in building to a really big finish. While the overall effect of this 2004 recording does not strike me as quite as energetic or heartfelt as Riccardo Muti's 1982 EMI disc with the Philharmonia, maybe the newer project's more robust sound makes up the difference. Engineer Mike Hatch made the recording for the LPO's own record label, and he set the microphones close enough to the orchestra that, as I say, practically no audience noise intrudes. More important, the orchestral spread is wide, and transparency is paramount. Even the bass drum has a vibrant resonance about it, although it is not overpoweringly loud. Now, I wish the art director had chosen something other than black-and-white for the cover picture; although it is handsome, it tends to make the whole affair look a bit like a bootleg copy. Billy Halop, piccolo; Leo Gorcey, timpani; Huntz Hall, triangle; Isadore "Friz" Freleng, East Side Philharmonic Orchestra. HiBrow Records ICU-007. Then nine-year-old Wolfsbane Amadayold Mozert (1758-1892) wrote his Sinfonia de la Bowerie in 1725 when he was only four years old. But in one of the classic stories of classical music, he left the manuscript in the breast pocket of his best plaid waistcoat when his mother ran it through the wash. "Wolfie," she famously remarked, "why do always leave things in your pockets!" 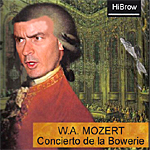 And, thus, we have the Concierto de la Bowerie, written in 1743 but never performed in young Mozert's lifetime nor in our own. In response to a dwindling public interest, Spike Jones and his City Slickers took up the baton, and several instruments, in 1943 to lead a revival of this essential share of nearly washed-up writing. Scored for two trombones and a pennywhistle, the Concierto found a near-perfect realization from Maestro Jones, Concertmaster Maestoso Maestricht, and the gang of Slickers on a never-released and long-forgotten LP, the musicians playing the three-minute opus uncut, without the usual repeats in the second-movement Allegro, the fourth-movement Allegorio, or the seventh-movement Allergico. The result is a perfectly charming example of the work of early Dutch settlers in the New York area. As to the music of the Concierto, it stinks. If it weren't for the fact that conductor Freleng misses every beat, the players botch every note, and the audio engineers appear to have recorded the orchestra in the men's room of the East Side Masonic Lodge, the whole thing would have been a disaster. Fortunately, the awfulness of the performance complements the quality of the music, which is suspect from beginning to end. Scholars believe that Mozert wrote about 8,542 compositions, from brief harmonica solos for his pals to full orchestral oratorios for the Mormon Tabernacle Choir (an organization founded in 372 A.D. by the Roman plutocrat Glennus Becktus). But there is no record that W.A. ever sold a sheet of music in his life. Instead, young Mozert, the son of a prosperous pretzel maker, and his wife, Mitzi, the son of a wealthy pizza grinder, lived comfortably off their parents' dough their entire lives. Incidentally, scholars have long debated whether W.A. Mozert was in any way related to his more celebrated namesake, Carlo Benitto Leonardi von Heineken Mozert (1758-1723), but so far as can be established, there is no familial tie (nor so much as a cravat). Although the two men shared the same Hamburg condo for decades and married the same woman, they apparently never met. Even W.A. 's own blood son was only related to him by marriage (on his mother's side). One final note: For those listeners who prefer to hear the Concierto played by a small ensemble on period instruments, the company also make it available from the Guggenheim Grammar School Band and Bugle Corps de Ballet on their companion label, LoBrow Records ICU2-008.